Cheap meat often comes at a price. Paid for by the farmers, processors, animals and ultimately the environment. To help you navigate the landscape (and following on from our journal; How to buy the best meat) our resident agricultural expert, Laura, has taken a look at the claims found on packaged meat and reveals what they all mean. Organic agriculture is about a way of farming that pays close attention to nature. It means fewer chemicals on the land such as artificial fertilisers and the absence of veterinary medicines such as antibiotics in rearing livestock and the avoidance of genetic modification. Organic farming can also offer benefits for animal welfare, as animals are required to be kept in more natural conditions. 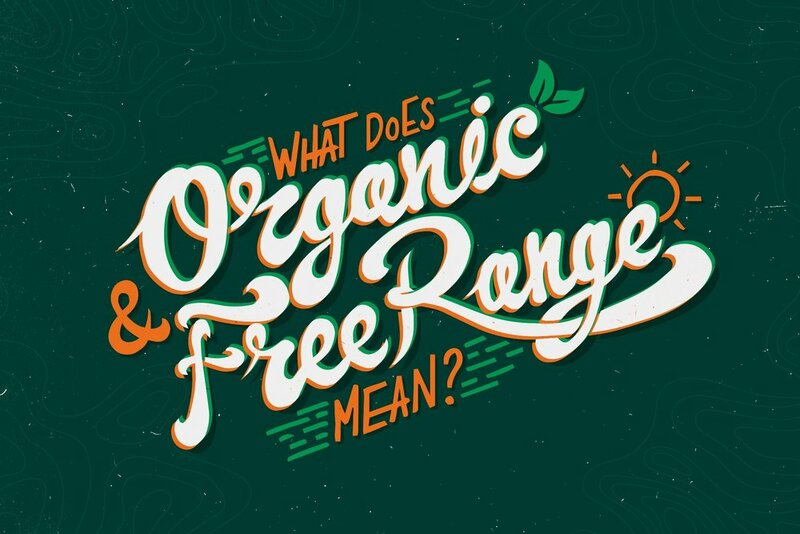 Organic farms don’t use chemical fertilisers or pesticides and the routine use of antibiotics is not permitted, organic systems also dictate that the animals must have access to the outdoors for the majority of their lives. Free-range allows for chickens, pigs and most recently cattle to be outside for at least part of their lives. Free- range poultry must meet legal requirements. The RSPCA states that chickens must have a defined amount of space (no more than 13 birds a square metre), be 56 days old before they are slaughtered and have continuous daytime access to open-air runs, with vegetation, for at least half their lifetime. A varied environment allows the animals to exhibit more of their natural behaviours. Grass fed focuses on the traditional practice of grazing cattle and sheep on grassland as opposed to what is perceived as a more intensive practice of indoor fattening on grains. In the UK, the words grass fed can be used to describe food from animals that have spent the majority of their time eating grass. If you are seeking meat from animals solely fed on grass and forage crops then look for the Pasture-Fed Livestock Logo. 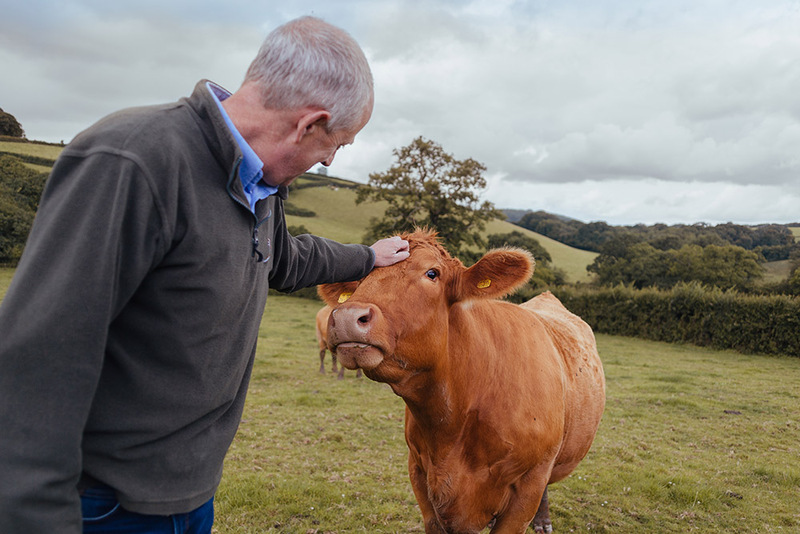 It is a farmer-led organisation that promotes the health, welfare and environmental benefits of raising cattle and sheep exclusively on grass and forage crops. Freedom from hunger and thirst - by ready access to fresh water and a diet to maintain the animals' full health and vigour. Freedom from pain, injury or disease - by prevention or rapid diagnosis and treatment. RSPCA Assured is an independent certification by the RSPCA, unlike other labelling schemes they are independent from both the food and farming industries. Their vision is for all animals to have a good life and to be treated with compassion and respect and as such are acknowledged as a higher-level scheme by the UK government. RSPCA go above and beyond the standards of free range but don’t replicate all of the standards laid out within organic certification. The simplest thing you can do to help raise animal welfare standards is to vote with your wallet. Whenever possible choose the highest standard you can afford. Finally, watch out for the meat in your meals when eating out. Don't be afraid to ask where it comes from and do your research if eating any meat-based product. As a bare minimum, always look for the Red Tractor logo.